I realize this is a little late – but I made a BOMBBBB cooler for my daddy for Father’s Day. Top: freehand Budweiser emblem replaced with our last name and “King of Dads” instead of “King of Beers” on a white background. Front side: Jets logo and Boomer Esiason image Mod Podged on to a background of camo duck tape. Right side: freehand WWE logo on a black background. Left side: Mod Podged NJ Devils logo (I painted on top of the logo to make it look like it was painted on) on a black background. Back side: freehand Fathers day quote. On the corners: Mod Podged baseballs on two corners and Mod Podged Mets jerseys on the others. As for cooler prep, I sand the entire thing down first and foremost. I’m not entirely sure if it helps, but I do it anyway. Then I prime it with Krylon Fusion for Plastic. This is a paint and primer in one. Usually I buy the primer in the color I want the background to be. If I don’t have the primer in my preferred background color, then I just prime it in any color and use acrylic paint to cover it up. 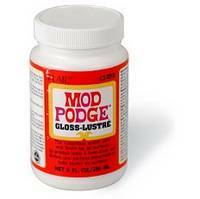 I do a million random coats of Mod Podge over my paint, usually after adding a layer or something. Then I seal it with Minwax Polycrylic. I did a cooler for my boyfriend about two months ago with these steps and it made it through their Mountain Weekend and hasn’t chipped at all yet. It’s holding up really well and I’m super proud of it. Therefore I am doing the same steps for dad. And though he’ll use his little mini cooler more than Dez uses his humongous one, I’ll keep you posted on if it chips or anything.